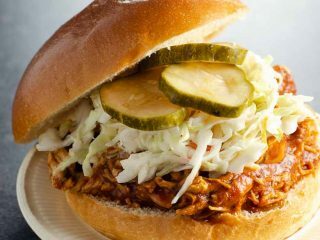 This easy, flavorful four-ingredient pulled chicken is great for those busy weeknights during the back-to-school season. Make it low and slow in the slow cooker or fast and furious in the Instant Pot, whichever suits your schedule. Serve on brioche buns with coleslaw and pickles or over a simple salad for a family-friendly meal. Thanks to North Coast for sponsoring this post, and thanks to you for supporting our partners. 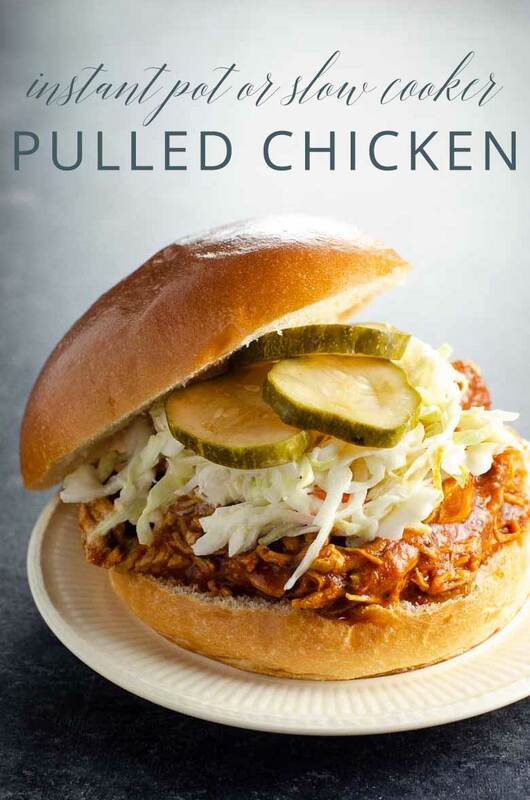 BBQ pulled chicken in the Instant Pot or slow cooker also makes great meal prep food. Try layering it with cooked corn, black beans, and baby spinach for a week of not-sad desk lunches. It’s never too early to get your ducks in a row for the back-to-school rush. I’m a big fan of the following plan: wring every last ounce of summer out of summer. Be at the beach. Travel to one place you haven’t been before and to one of your favorite places. Spend enough silly time with the kids that you’re so very ready to see them go. But also. Nab those school supplies. Sign the kids up for a few extracurriculars. Set your sights on a couple of smart snack ideas. 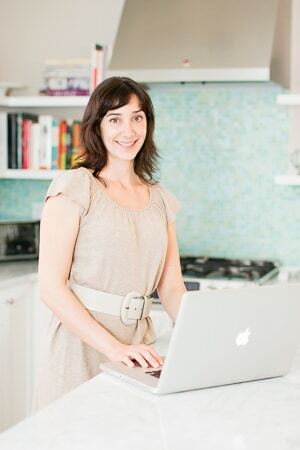 Pin a bunch of good-looking, quick and easy recipes to a Pinterest board. Set it and forget it. 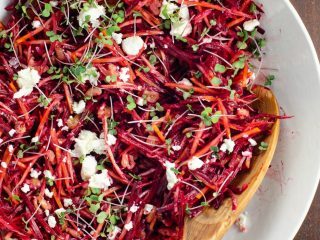 Here’s a wholesome, flavorful four-ingredient recipe that couldn’t be better suited to autumn weeknights. You can choose whether to make it low and slow in the slow cooker or fast and furious in the instant pot. 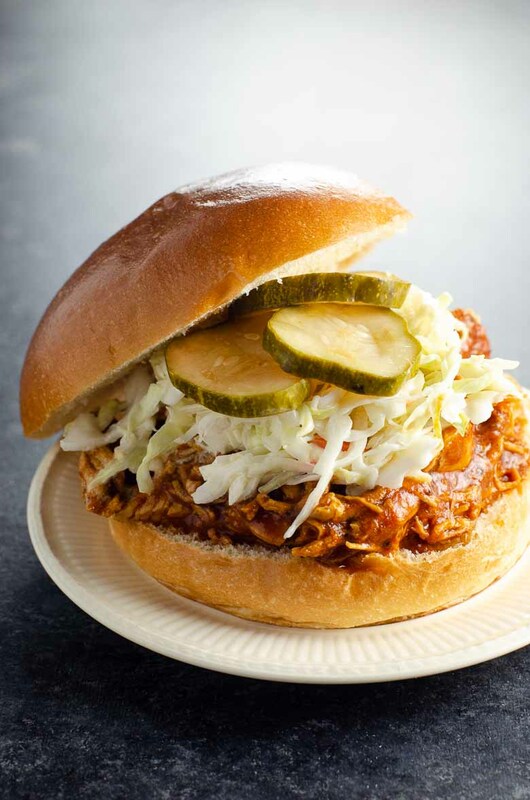 You can choose whether to tuck it into a brioche bun with coleslaw and pickles or layer it on top of a simple salad. Either way, it’s a crowd pleaser. And this crowd pleaser is brought to you by North Coast applesauce. North Coast’s 100% Organic certified, non-GMO Project verified products have been favorites on the west coast and in the midwest for years, and now they’ll be more widely available thanks to boxed.com and jet.com. North Coast starts with USA-grown fruit of exceptional flavor and quality and produces juices, ciders, cider vinegars and a wide variety of applesauce flavors that are BPA-free, fresh pressed, Kosher and added sugar- and preservative-free. They even manage to do it all with about 50% solar energy. 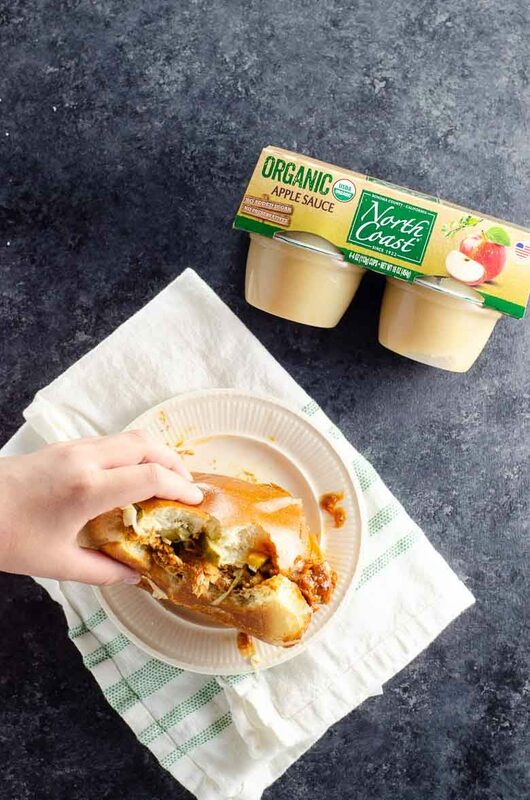 We love North Coast’s delicious applesauce cups on their own as a quick, healthy snack or breakfast, and we had a hunch they’d also make a great addition to BBQ pulled chicken. Guess what? They really do. They add just the right amount of natural sweetness to this meal while sneaking a little extra fruit into the family to fuel everyone’s new and exciting adventures. It couldn’t be better, and it couldn’t be easier. In the Instant Pot or slow cooker, stir together the applesauce, barbecue sauce and apple cider vinegar. Nestle chicken breasts into sauce. Instant pot instructions: Close lid and make sure valve is set to “sealing.” Cook on the manual setting, high pressure, for 15 minutes. When cooking time ends, let the pressure release naturally for 10 minutes, then release any remaining pressure by opening the valve. Slow cooker instructions: Cover and cook on high for 3 to 4 hours or on low for 6 to 7 hours. Chicken is done when cooked through (165° F) and easy to shred. Remove chicken to a cutting board and, while hot, shred using two forks. If using an Instant Pot, press the sauté button and let sauce simmer to thicken slightly while you shred the chicken. Return shredded chicken to pot and stir to coat with sauce. As long as your barbecue sauce is pourable, it will work well in the Instant Pot. If it’s extraordinarily thick, thin it with water to a pourable consistency before proceeding.